The UAE division of ULO Systems, a leading provider of services within the oil and gas and construction industries, has been awarded a major contract to provide in-country equipment and services to Max Group for its $2.2-billion Roopur Nuclear Project in Bangladesh. 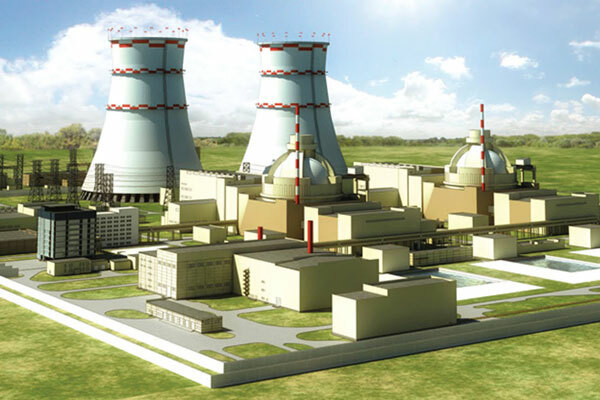 Once completed, Roopur Nuclear Plant will become the country’s first atomic energy facility, making Bangladesh the third South Asian country after India and Pakistan to harness atomic energy for the country’s power requirements. The agreement marks the largest concrete mattressing scope ULO Systems has won to date, delivering materials for the manufacture of 12,000 concrete mattresses, including 216,000 plastic shell pods, 648,000 clips and 568,000 metres of rope. The project includes full collaboration in the creation of QA/QC documentation and procedures, the pouring of concrete and the installation of concrete mattresses on the project site, said the statement from the company. ULO Systems said it will utilise an advanced MDS 3 lifting frame, capable of deploying three mattresses simultaneously, it stated. The project’s scheduled completion date is the first quarter of 2019 and the 12,000 concrete mattresses will be ready for installation by mid-December. Up to 400 pods per day will be completed on-site, enabling the production of a 2.25-metre³ concrete mattress every two and a half minutes. Rather than manufacturing concrete mattresses with the use of steel shells, ULO Systems, in partnership with Flexmat, utilises plastic pods in the production process. The pods, which have a design-life of 50 years, remain part of the structure of the company’s concrete mattresses, providing a high level of cosmetic finish and removing the need to mould and de-mould concrete in traditional shells, thereby reducing the time required to fabricate mattresses. Colin Reilly, the deputy general manager of ULO Systems, said: "This is a significant win for the company, marking our re-entry into Bangladesh, and a first move into nuclear power. This first step is perfectly aligned with our company’s 2019 growth targets, aiming to expand into the subcontinental market." "The main challenges of this project are the location and the timelines. The nuclear plant is located in a rural area of Bangladesh on a riverbank. Due to weather conditions, the risk of flooding in the area is high and the plant’s proximity to the river has meant we have had to first establish a solid base to build upon," remarked Reilly. "It was critical ULO Systems offered a long-term solution to protect the infrastructure and ensure the safety of the plant," he noted. "Due to the plant’s location, there are logistic challenges in delivering materials in the required time to complete the project on schedule. However, we have a reputation for being resourceful, reactive and able to respond to any client requirement which was certainly a huge benefit here and I believe one of the key reasons we were awarded the contract," he added. In addition to providing materials and equipment, ULO Systems said it has deployed a team of highly qualified technicians, to oversee the manufacturing and installation of the concrete mattresses.